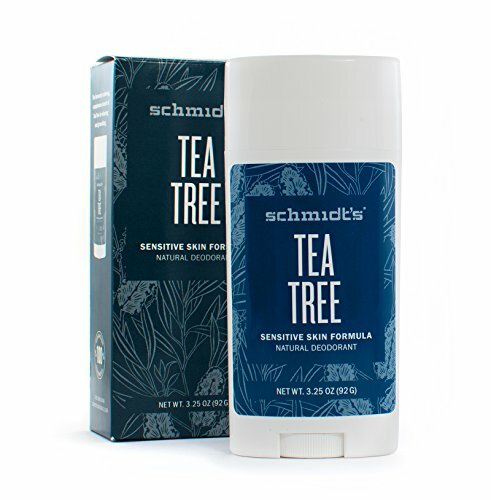 Why we love it: Featuring a clean and calming herbal scent, this baking soda-free Tea Tree deodorant stick from Schmidt’s works especially well on sensitive skin to neutralize underarm odor and absorb wetness without harsh chemicals or toxins. Arrowroot powder fights odor causing bacteria while absorbing sweat throughout the day. Shea Butter and Coconut Oil soothe and hydrate underarm skin, limiting irritation. Apply to underarms daily as needed. Certified Vegan & Cruelty-free. Gluten Free. Free of aluminum, propylene glycol, parabens and phthalates.